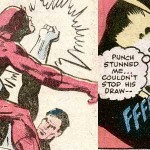 We have seen the Punisher kill the marvel universe before, and we have even seen him fight Daredevil. But what if he had killed Daredevil during that encounter? That hypothetical story takes place in What If issue 26, volume 2. 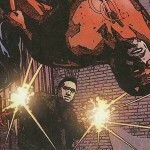 What makes it such a great story is that Punisher shoots Spider-Man as well during his downward spiral. The story told in What If 26 is wonderfully written. After the Punisher accidentally kills Daredevil, Spider-Man feels responsible for past encounters and decides to take him in. 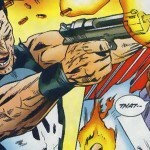 Only trouble is that the Punisher shoots Spider-Man with real bullets after he runs out of the tranquilizer stuff. 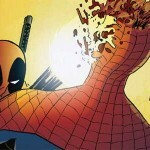 Spider-Man quickly passes out and is left for dead until ending up in the hospital… unmasked. Now all the other superheroes are gunning for the Punisher as well. See? I told you it was a good story. 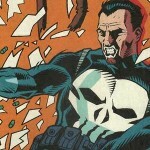 The What If comics can be hit or miss, but any comic where the Punisher shoots Spider-Man earns an ace in my book. Let us be honest here: The Punisher is a hardened killer while Spider-Man is a whiny brat who cares more about his own life than anyone else. Just look at the change when he got the black suit during secret wars. The change was made to make him more tough, so there is your proof. I love Punisher stories in general because he is often solitary, making the tale more focused. The narration is always in his mind and he never says things out loud and rarely to other people. His cold and calculating personality makes him stand out in a good way. I must Press the issue of reading this, one of My favorite stories, which Links to past fun tales of the Marvel universe. What do you think of this story? Leave a comment.